Maxwell has finally met an opponent that he can't best in this new football romance from the author of Fumbled. According to Brynn Larson, Maxwell Lewis is more trouble than he's worth. She doesn't care if he's a football god with a rock-hard body that brings most women to their knees. After an encounter that ends poorly, she's not interested in giving him a second chance. The last thing Brynn expects is for him to turn up at her bar months later, hat in hand. It doesn't matter if he brings more customers to her business--she's still not going on a date with him. Maxwell knows he made a mistake. He'd been waiting to make his move on Brynn since the day he laid eyes on her and he was finally ready to go for it until he screwed up. He wishes he could tell her the truth about what happened that night, but he just can't. He can't tell anyone, so he'll make amends and hope she'll forgive him. Brynn's not like other women, though. Playing for the Mustangs doesn't impress her and gifts make her scoff. Max will have to bring his A game if he hopes to win her over. 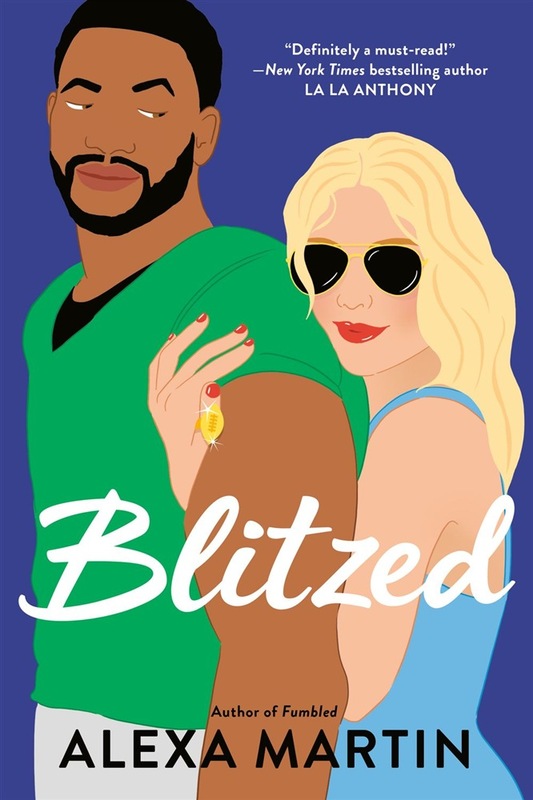 Acquista Blitzed in Epub: dopo aver letto l’ebook Blitzed di Alexa Martin ti invitiamo a lasciarci una Recensione qui sotto: sarà utile agli utenti che non abbiano ancora letto questo libro e che vogliano avere delle opinioni altrui. L’opinione su di un libro è molto soggettiva e per questo leggere eventuali recensioni negative non ci dovrà frenare dall’acquisto, anzi dovrà spingerci ad acquistare il libro in fretta per poter dire la nostra ed eventualmente smentire quanto commentato da altri, contribuendo ad arricchire più possibile i commenti e dare sempre più spunti di confronto al pubblico online.